Wynnewood, PA, November 2014 — Learning strategist and author, Meghan Leahy, MS, NCC, has teamed up with Drexel Professor, Roberta Waite, EdD, PMHCNS-BC, FAAN, ANEF to debut the medical textbook, Attention Deficit/Hyperactivity Disorder Throughout the Lifespan as part of Western School’s Continuing Education catalog. 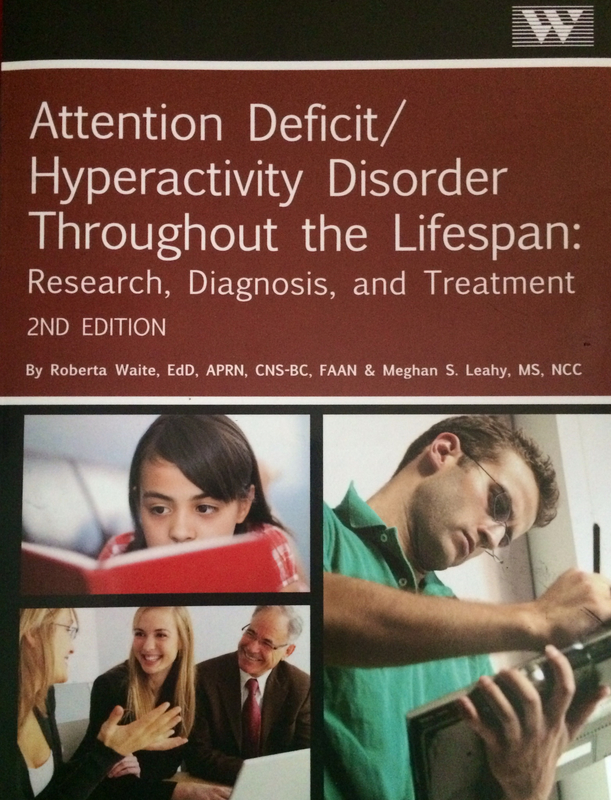 Attention Deficit Hyperactivity Disorders Throughout the Lifespan is a peer-reviewed textbook that contains valuable information regarding how ADHD presents itself at various life stages and the role of the medical professional in planning strategies for effectively managing the lifelong disorder. Meghan Leahy, the founder and director of Leahy Learning (www.leahylearning.com) located in Wynnewood, PA says the book has been a culmination of extensive combined research and clinical expertise. Leahy’s private practice provides an innovative combination of therapy and tutoring, focusing on problem-solving and success strategies in all areas of learning. Leahy Learning specializes in individuals with learning disabilities, ADHD and Autistic Spectrum Disorders. Roberta Waite serves as the Associate Professor & Assistant Dean of Academic Integration and Evaluation of Community Programs in Doctoral Nursing Department at Drexel University. She focuses her scholarly work on help-seeking behaviors and treatment engagement with particular interest in depression, adult ADHD, and trauma and adversity among ethnic minority populations. Meghan Leahy and Roberta Waite will launch Attention Deficit/Hyperactivity Disorder Throughout the Lifespan to the public on December 12, 2014 from 5:30 to 8:00 p.m. at the Philadelphia Salvage Annex (www.philadelphiasalvage.com) located at 1012 West Lancaster Avenue in Bryn Mawr, PA.